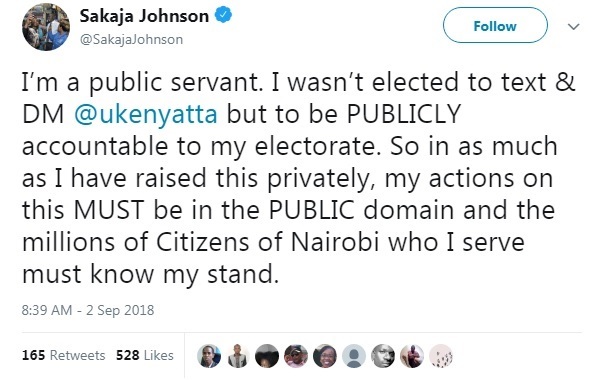 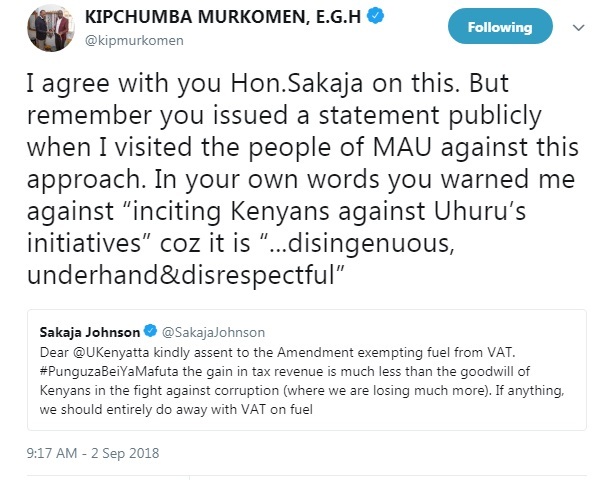 Home / Entertainment News, Featured Articles, Lifestyle / SAKAJA antagonizes Kenyans with his message to UHURU over increase in fuel prices - Stop the hypocrisy. 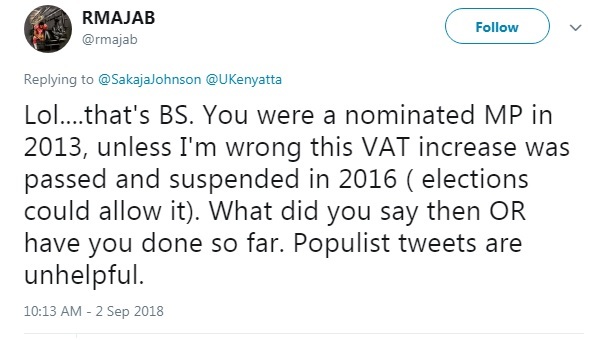 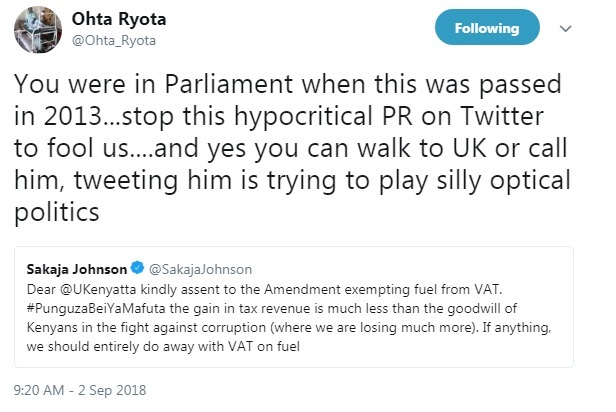 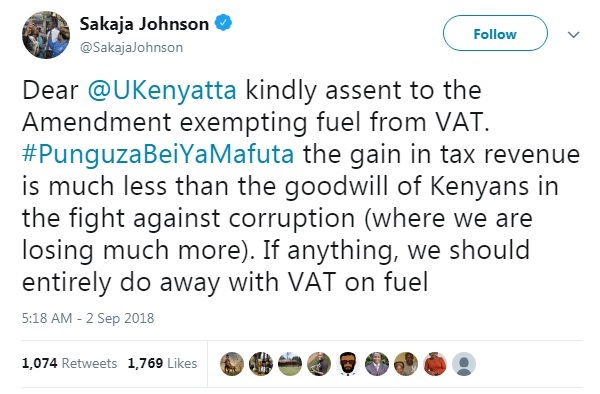 SAKAJA antagonizes Kenyans with his message to UHURU over increase in fuel prices - Stop the hypocrisy. 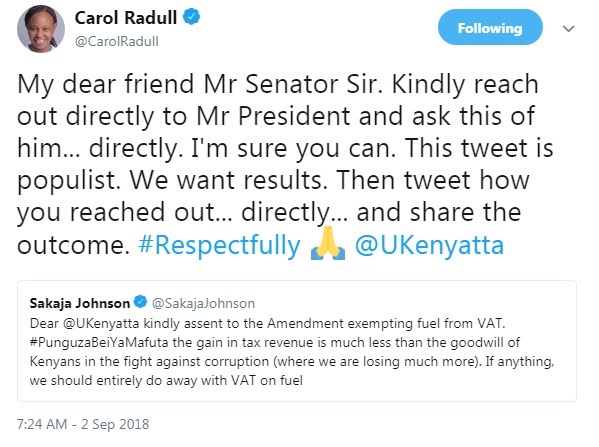 Check out his tweet and responses.